Our printing house was the first in the country to introduce the technology of flexoforms manufacturing – Kodak Flexcel NX Digital Flexographic System. With the new Kodak Flexcel NX Digital Flexographic System, we challenge the traditional restrictions of flexography. Now we can print for you what we could do before. Outstanding results! Thoroughgoing.Quality of intaglio printing with a revolutionary system that will change your view of flexo printing. 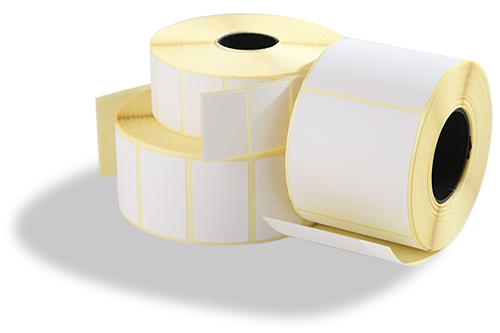 What are distinguishing features of digital flexographic plates Kodak Flexcel NX? It all starts with the process of recording an image. Kodak has long been a leader in the production of offset thermal CtP devices based on the Kodak Trendsetter platform and Squarespot technology. Now this technology is applied in flexography and showed a unique ability to form and hold a dense 10-micron point that looks like no other. The new process of lamination of the photoform to the plate excludes the effect of oxygen inhibition in the main exposure, and the resulting points on the form not only correspond exactly to the points in the original file, but also have flat tops and strong “shoulders”. This gives them resistance to pressure changes while printing, drastically reducing machine setting time and extending the life of forms. This technology has received the award. The Kodak Flexcel NX system is recognized by the flexographic industry as a leading innovative technology of the flexographic printing plates production. Our printing-office not only prints using Kodak Flexcell NX but sells them as well. Thanks to the Kodak DigiCap NX additional technology forming micro relief over the entire surface of the flexoform, the ink transfer goes completely to a new level. Beyond that, the flexoforms produced this way have such advantages as a rigid flat point and painting in the entire range of half-tints. So what are the advantages of flexographic formsFlexcel NX?! The ability to achieve the perfect size of a raster point of 10 microns in shadows and highlights. Faster and better preparation for printing. Ability to reproduce works of high complexity close to the level of photography. The quality of printing “dies” is close to intaglio printing. Due to full-amplitude and flat-topped raster dots, these shapes have smaller dot gain. Increase the print speed up to 50%. Higher wear resistance than LAMS. And above all: stable high quality of prints from order to order, from printing run to printing run! Order a callback and our specialists will call you and provide with all the necessary information.